There were several different Delco Remy ignition systems manufactured during the high performance muscle car era. This site is dedicated to the High Performance ignition systems from the 1960s and 70s made by Delco Remy Div., GMC. Delco Remy manufactured a transistor ignition system that was used mainly on the high performance Camaros and Corvettes, both for racing and for street use. They were available for other models as well. Production of these systems took place from the early-mid 60s, thru the early 70s. On the contact controlled system, the breaker points become a low current switch, simply switching a transistor on and off. This greatly increased the life of the points since there was no longer a small arc across them when they opened. The magnetic pulse system took it a step further, completely eliminating the breakers points and replacing them with a coil/magnet assembly and a trigger wheel attached to the distributor shaft. Other than the shaft, there were no moving parts to wear out, plus the trigger wheel was very precise and repeatable. 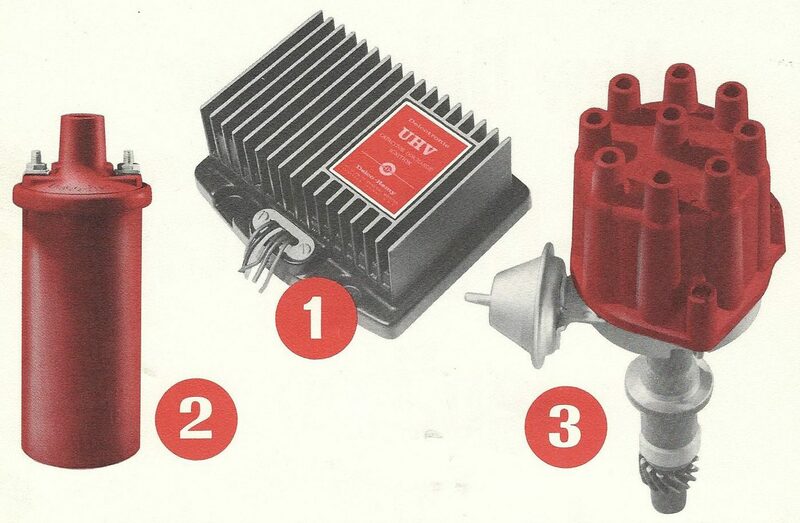 These systems used a small amplifier box mounted on the car, along with a special ignition coil designed to work with the amplifier for increased output to the spark plugs.